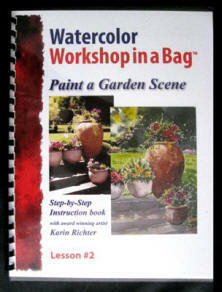 The Watercolor Workshop in a Bag now has a second lesson. For those artists who already have the bag with materials, this is a new subject matter: a Garden Scene where garden and floral elements are introduced. CLICK HERE to purchase this instruction booklet. 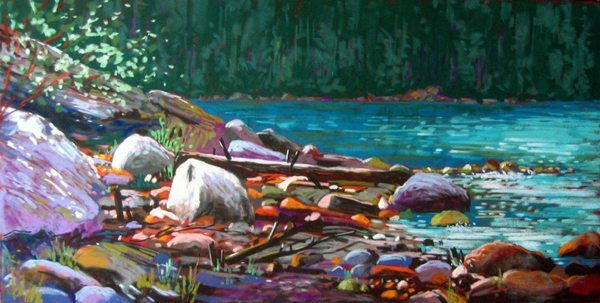 Karin is pleased to announce that after a successful run for the benefit of Ducks Unlimited Canada in 2014, she is now able to sell her limited edition artist-proof Lithographs of her pastel painting QUIET BAY. The image is 12" x 24". Please contact Karin for more information.